Cube chicken breasts into about 1-inch cubes. Each bite should be 1-2 ounces in size. 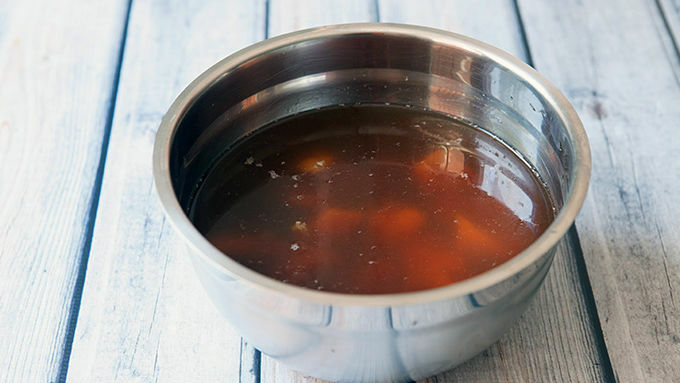 In a large bowl, dissolve 1 tablespoon kosher salt in 4 cups of sweet tea. Add chicken cubes and marinate in refrigerator for 2 hours. Drain chicken bites well. 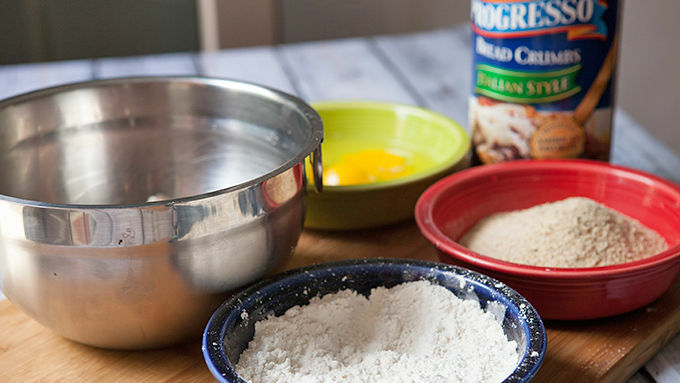 Prepare three bowls for breading: One with flour and a big pinch of salt and pepper, one with whisked eggs, and one with Progresso™ bread crumbs. 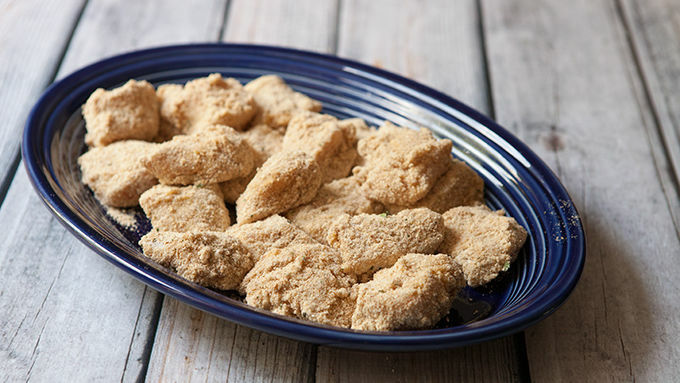 Working with a few chicken cubes at a time, toss them in the flour to coat, then transfer to egg, then finally coat with bread crumbs. Place breaded chicken bites on a clean plate while you do the others. When oil is hot (350°F), add chicken in batches in a single layer in the pan. Let fry for about 3 minutes until nicely browned. Then flip all the bites with tongs and fry for another 3-4 minutes until cooked through. 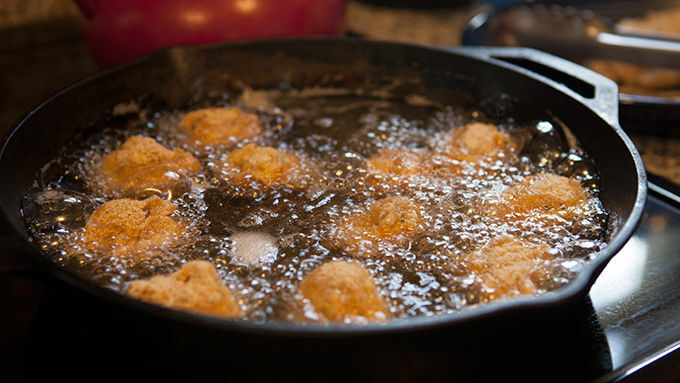 Remove chicken bites and let drain over a wire rack or on a paper towel while you cook the others. 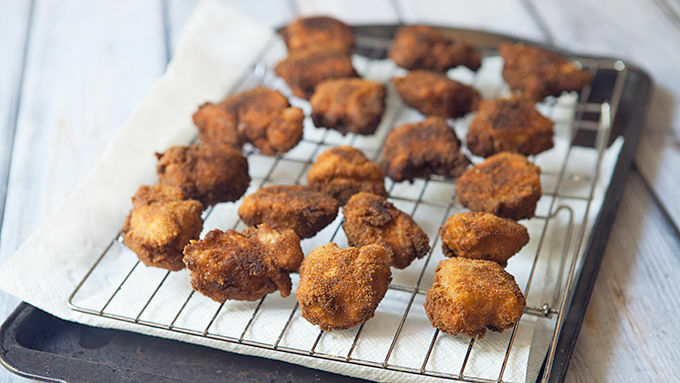 Serve warm chicken bites with ranch dressing or mustard for dipping. You can also reheat leftover bites in a 350°F oven for a few minutes. Sweet tea isn't just for drinking anymore. It makes a great chicken brine, too! It makes chicken tasty, moist and delicious! If you haven’t heard, brining meats is all the rage these days. And with good reason! Brining lean meats like chicken keeps them moist and infuses them with lots of flavor. It’s definitely worth the extra effort, since brine is really just some herbs and flavors mixed with sugar and salt. Instead of mixing up a whole batch of brine next time, here's an easy secret: Try sweet tea with some extra salt mixed in. 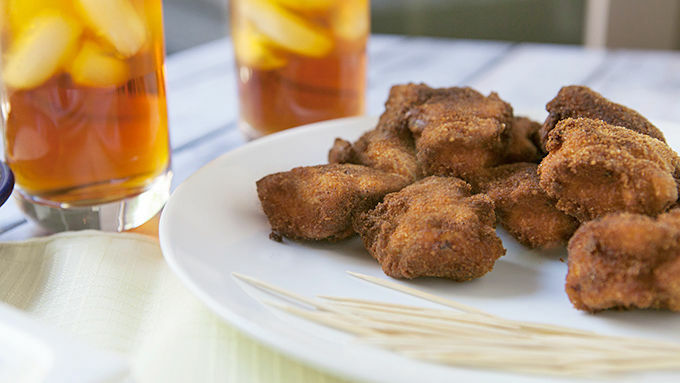 I used it for these sweet tea chicken bites and it was the perfect quick-brine solution! You can use any sweet tea you can find. Just stir in an extra tablespoon of kosher salt into the mix to up the salt content for this brine recipe. Serve with some ranch dressing or mustard for dipping and a tall glass of ice-cold tea. Then dig in while they are still warm!